. Create a work to augment your portfolio, gallery presentation or exhibition.
. 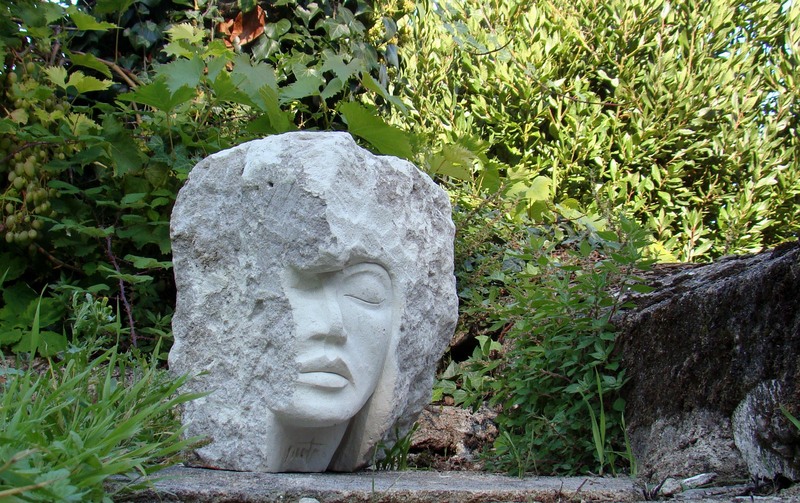 Develop skills to quickly finesse the human face from a rough block of stone.
. Learn basic direct stone sculpture techniques using simple hand tools.
. Learn the fundamentals of three-dimensional portraiture in stone.
. Come away with a work for the gallery, home or landscape.
. No previous direct stone sculpture experience required. Award-winning sculptor and author DJ Garrity will be conducting a four-day sculpture workshop at Chicago Botanic Garden. The artist currently divides his time between France and The Aran Islands in the West of Ireland and is the former Sculptor-In-Residence of Mount Rushmore National Memorial. Garrity developed the hands-on workshop at Mount Rushmore as an interpretive training program in collaboration with the National Park Service and subsequently conducted the workshop at botanic gardens, museums and art associations from coast-to-coast across America. 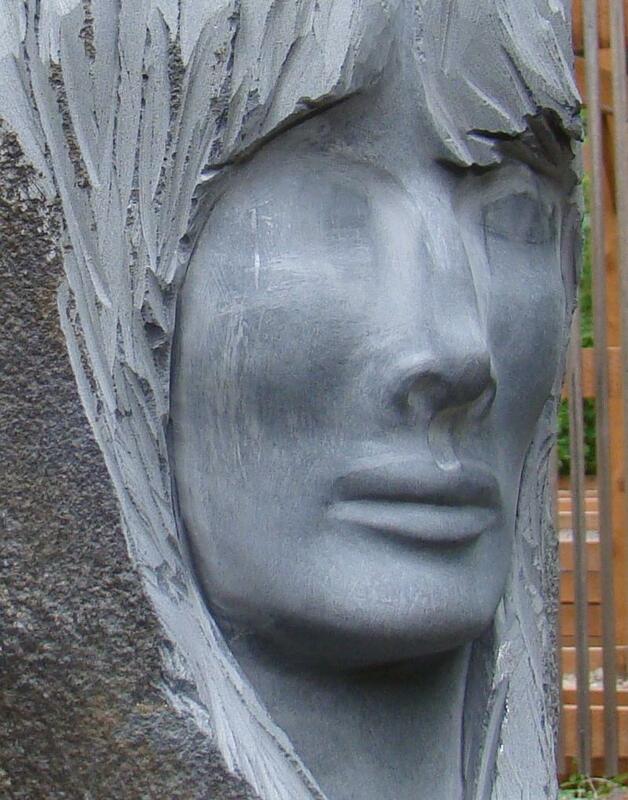 The Rhythms Of Stone Workshop is derived from the book of the same title by the artist based upon creative journals documented during the in situ creation of the portrait of Nobel Laureate, Aung San Suu Kyi within Columbia River Basalt at Portland, Oregon. The artist will be conducting two workshops in the States during 2013, the first at Chicago Botanic Garden followed by Tower Hill Botanic Garden in the Boston area. For more on the artist visit www.djgarrity.com. This entry was posted in Workshops and Classes and tagged art, Arts, Chicago, Chicago Botanic Garden, Culture, sculpture. Bookmark the permalink.